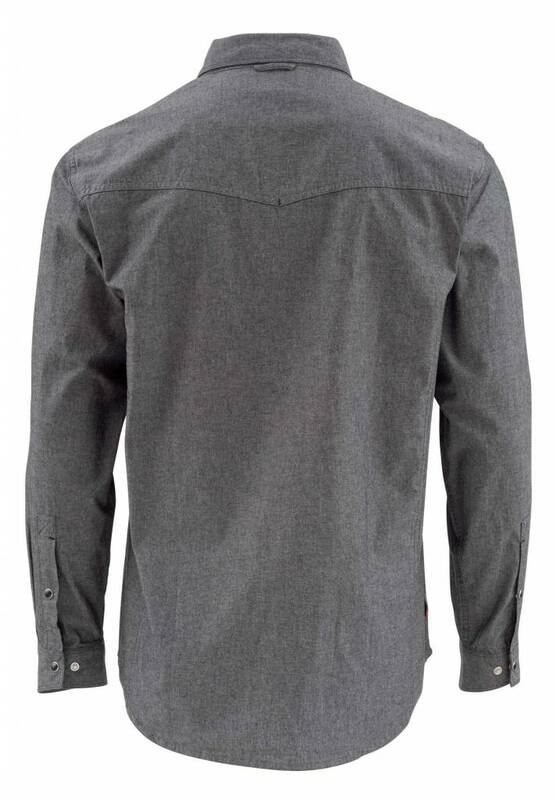 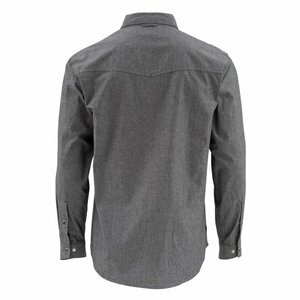 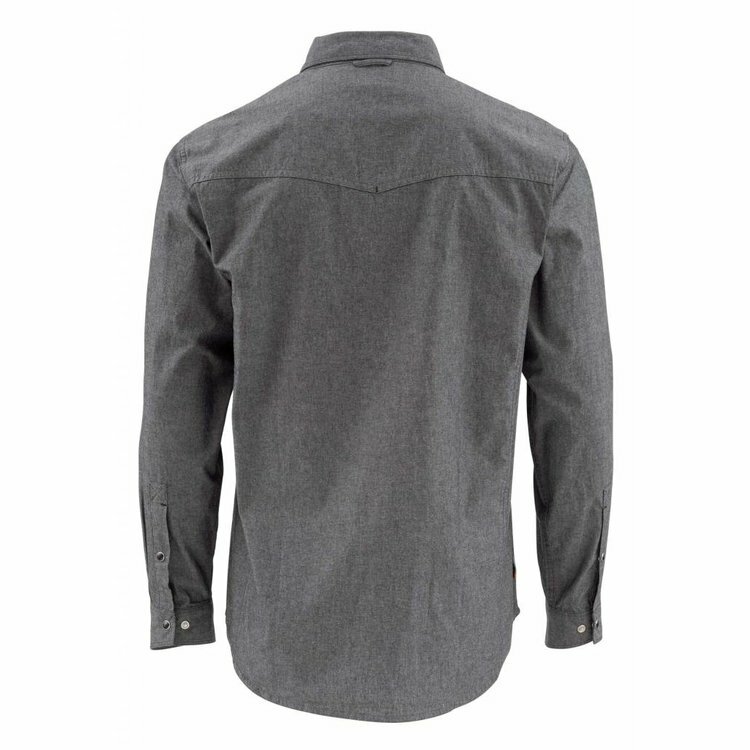 Simms Stillwater Chambray LS Shirt, washed for softness and wrinkle-free performance. 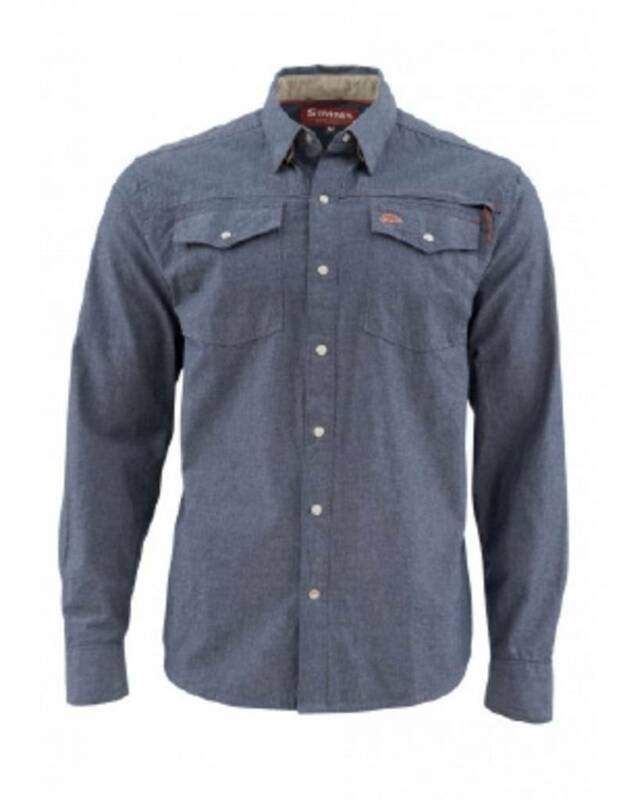 Western-style snap buttons show definitive style, while an extended back yoke enhances coverage. 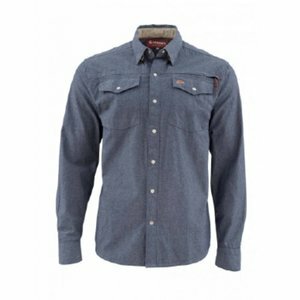 Simms Stillwater Chambray LS Shirt, keeps you dressed for success thanks to plush cotton construction that’s been washed for softness and wrinkle-free performance. Western-style snap buttons show definitive style, while an extended back yoke enhances coverage. 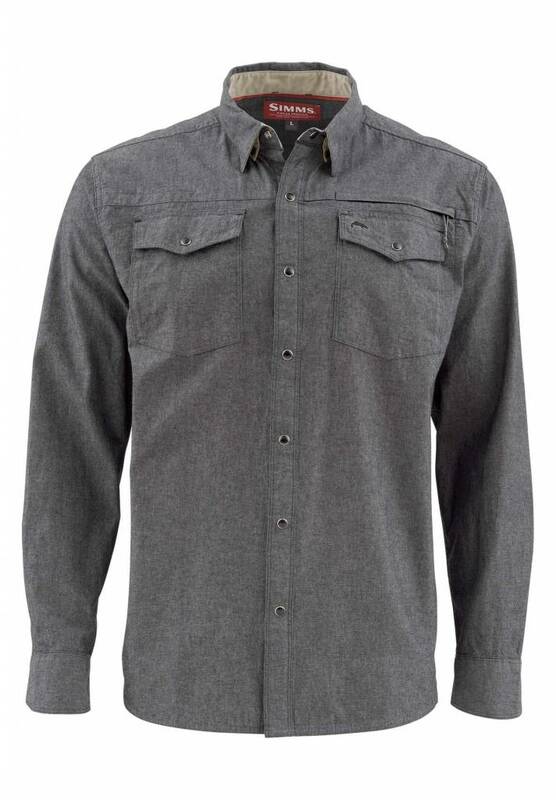 Additional details include fly-box ready chest pockets, one zippered pocket on the left chest, one zippered pocket on left chest, a sunglass chamois, and UPF50 sun protection from top collar to bottom hem.